Yep, you read the title right. And yes, that word is the reason that a thoughtful, relevant, challenging show that tackles racism and identity was banned in Burnsville. 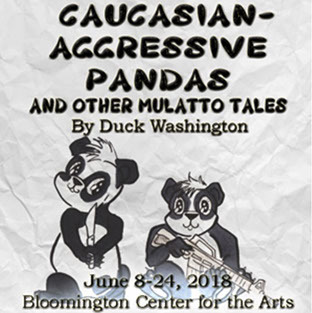 Derek "Duck" Washington wrote Caucasian-Aggressive Pandas and Other Mulatto Tales in 2015, and it was performed at the Bryant Lake Bowl that fall, and remounted for the 2016 Minnesota Fringe Festival. Friend: "Hey, what's a good show to see?" Here are some shows we're looking forward to in June. Enjoy!